The goal of this campaign is to ban straws and expanded polystyrene foam in Southampton Town. 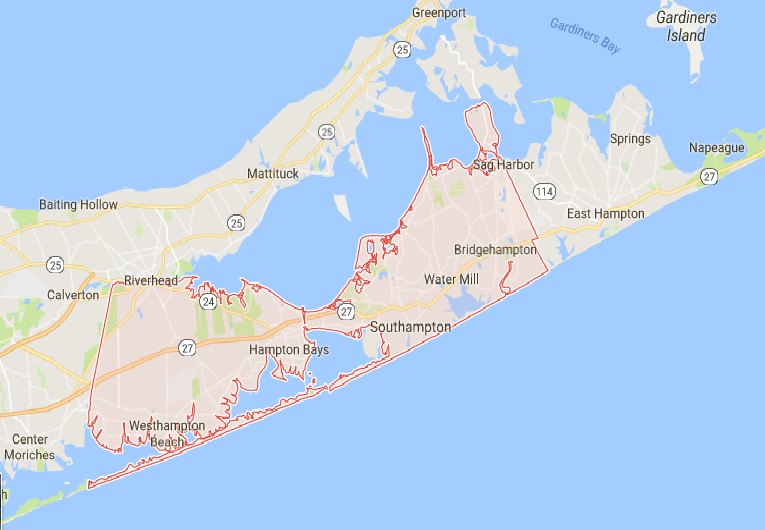 Southampton Town encompasses the hamlets of Bridgehampton, Water Mill, Hampton Bays, Westhampton Beach and parts of Riverhead and Sag Harbor. The total population is over 58,000 people. STRAWS: Plastic Straws are one of the most common items found at at beach cleanups across the world. To make the impacts of straws more locally tangible, at just seven beach cleanups hosted at Southampton Town beaches, Surfrider Eastern Long Island has removed 164 plastic straws from our coastlines. That averages about 23 straws per beach. After the sweeping success of Strawless Summer 2018, Surfrider ELI began working closely with the Southampton Green Committee, a committee formed to organize clean energy and pollution reduction initiatives in the town of Southampton. Surfrider worked closely with the committee to work on their proposal to the town. FOAM: Expanded polystyrene comes in many forms including: cups, “clam-shell” take-away containers, packing peanuts, and coolers. Because of its confirmed health impacts, many businesses and communities have moved away from using expanded polystyrene (also known as styrofoam). In 2018, both Patchogue Village and East Hampton Villages passed laws prohibiting markets, grocery stores, or delis from selling or providing polystyrene foam. What would this mean for businesses? or for the environment? Would you mind if plastic straws were banned? Would you mind if foam was banned? The results were overwhelmingly positive. While a few restaurants chose to be neutral, only two had negative feelings about a potential straw/foam ban. For the environment, this law if passed by Southampton town would keep a large volume of single-use plastics out of landfills and out of our oceans. If it’s assumed that every Southampton Town resident uses one plastic straw per day, over 21 million plastic straws would be prevented from entering our waste stream per year. If it’s assumed that every Southampton Town resident uses one expanded polystyrene product a week, that is over 1 million expanded polystyrene foam products kept out of the waste stream.